August 25, 2010—BURLINGTON, VT—Earlier this week, Inc. magazine recognized Dealer.com (www.dealer.com), ranking it 106th among the fastest-growing private advertising and marketing companies in the United States. Dealer.com, the global leader in online marketing solutions for the automotive industry, experienced three-year sales growth of 286% between 2006 and 2009. Overall, Dealer.com was ranked number 1,056 on the fourth annual Inc. 5000, an exclusive ranking of the nation’s fastest-growing private companies. The Inc. 5000 list represents the most comprehensive look at the most important segment of the economy – America’s independent-minded entrepreneurs. The 2010 Inc. 500|5000 list is ranked according to percentage revenue growth when comparing 2006 to 2009. To qualify, companies must have been founded and generating revenue by June 30, 2006. Additionally, they had to be U.S.-based, privately held, for profit, and independent — not subsidiaries or divisions of other companies — as of December 31, 2009. Revenue in 2006 must have been at least $80,000, and revenue in 2009 must have been at least $2 million. The top 10 percent of companies on the list comprise the Inc. 500, now in its 29th year. Dealer.com is the global leader in online marketing solutions for the automotive industry, providing award winning e-marketing solutions to OEMs, auto dealers and media companies. The company’s innovative websites and integrated online tools significantly lower the cost of customer acquisition, enhancing dealers’ efficiency and profitability. 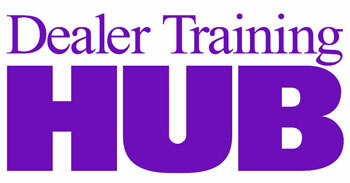 More dealerships use the Dealer.com platform than any other platform in the world.